​​​​ KATY – The shopping center Katy Ranch Crossing opened its newest 37,500-sf recreation venue—GlowZone indoor challenge arena. 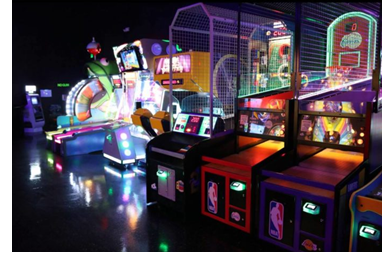 Activities include Am​erican Ninja Warrior-style obstacle and climbing courses, Bazooka Ball paintless paintball, mini golf, bumper cars, arcade games, and a Lazer Maze. GlowZone also offers a cafe and accepts reservations for private events. It is located at 830 Katy Fort Bend Rd.